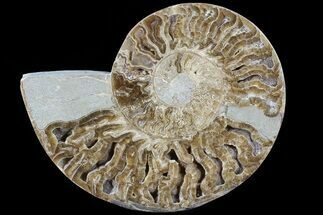 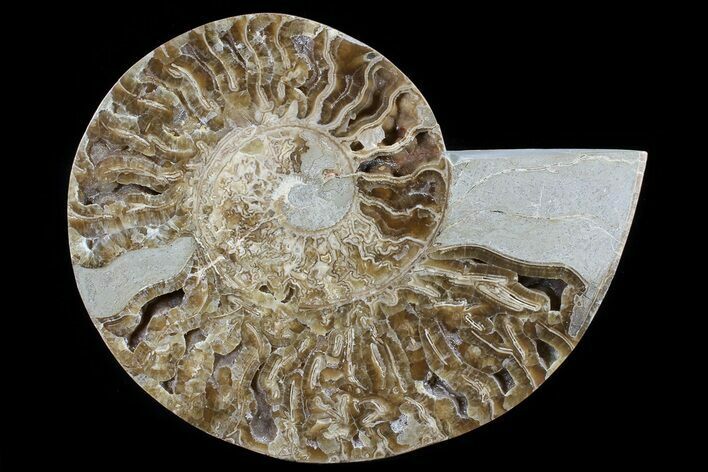 This is an large example of a rarely seen ammonite from Madagascar. 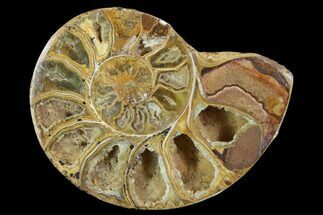 It is of the genus Choffaticeras, 8.6" wide, quite thick and the half weighs around 2 3/4 lbs. 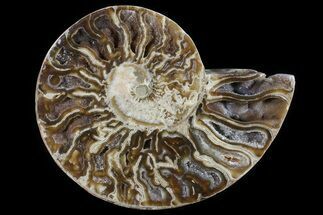 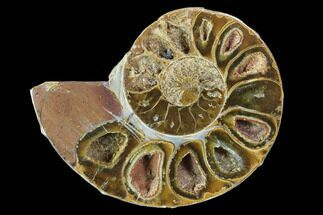 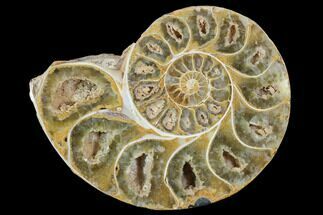 Ammonites of this genus are often referred to as Margarite or "Daisy" flower ammonites. 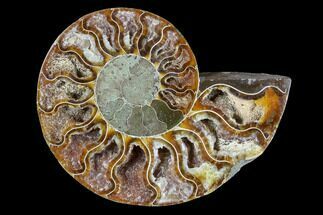 It has been cut in half and polished to reveal the amazing inner detail.